Where Roots And Wings Entwine: Ask Her Friends Review. One of the reasons I love Christmas is giving gifts; I love thinking about and searching for the ‘perfect’ gift to give to loved ones, I adore beautifully wrapping them and most of all I love seeing what my loved ones think of the gifts. Even though Lee also enjoys gift giving he finds it more stressful than I do, especially when it comes to buy gifts for me as he says I am awkward and difficult to buy for. Lee is pretty useless at buying gifts for me, usually worrying that I will not like what he is bought and he usually asks me to make a list of a few things I would like to give him a helping hand. Even though it is nice to receive gifts regardless of what they are as I know they are given with thought and love, and nice to get gifts that I like, want and find useful; giving Lee a helping hand with a suggestion list does take a little magic out of the gift being a lovely surprise. When I learnt about a website that aims to help men like Lee who are looking for a perfect gift for the special woman in their life but have trouble with ideas and knowing whether their chosen gift will actually be liked by the lucky recipient, I was keen to have a good ‘old gander on the website and encourage Lee to take a look too so that I might get a surprise gift and not have to help Lee with suggestions. The website in question that aims to help men who would benefit from guidance, advice and idea suggestions is called Ask Her Friends. 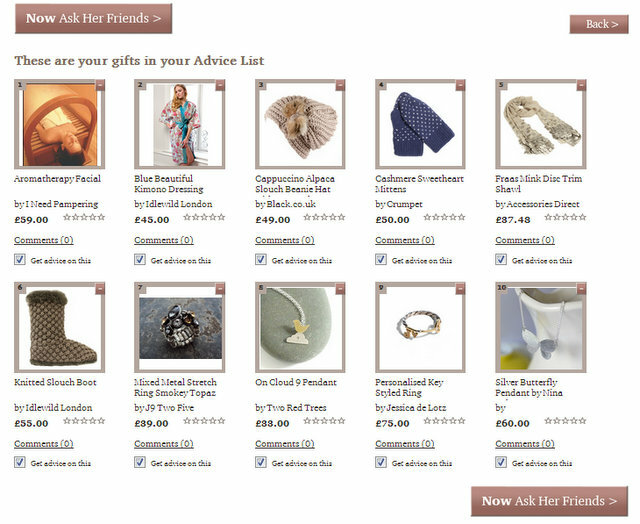 Providing users of the website with a focused selection of gift ideas sourced by asking normal women about what they want, Ask Her Friends was founded to assist men in finding the perfect gift for the special woman in their life by providing quality idea suggestions and the ability for users to get advice from the people that know the recipient best – her friends. Ask Her Friends can be used in a number of ways, all of which provide a range of product suggestions that would make lovely gifts. 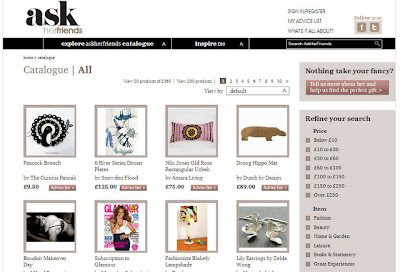 The website has an extensive Ask Her Friends catalogue section where people can simply browse a huge array of products. 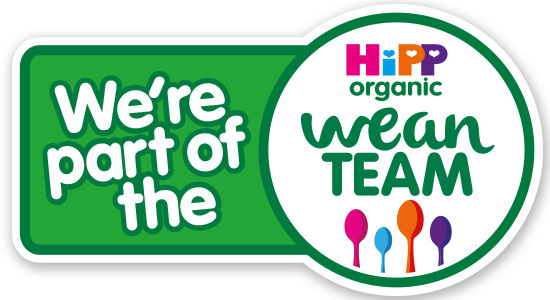 Within the catalogue section of the website you can narrow down your search by selecting different categories; Clothing, Soft Furnishings, Food and Drink, Odds and End, Games and Experiences plus many more. You can also refine the search based on budget, with a number of options to choose from between and including ‘below £10’ and ‘over £250’. The catalogue is easy to navigate and the selection of products and categories is impressive. Ask Her Friends Shop of the week and Ask Her Friends Partners. Each week Ask Her Friends features a Shop of the week. The website highlights a brief description of the Shop of the week, provides a discount code and highlights the latest and best selling gifts from that particular shop. You can also search through the numerous list of Ask Her Friends partners. Ask Her Friends What’s Hot. The website has a Hot Gifts section where you can browse a huge selection of hot gift ideas. 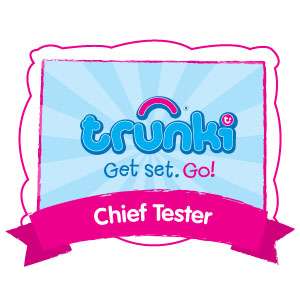 The hot gifts on offer can be narrowed down by refining the search by budget and/or item. As well as viewing the ‘What’s Hot’ highlights you can also take a look at ‘What’s New’ and ‘Bestselling’. 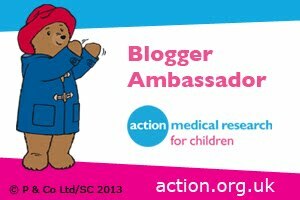 Ask Her Friends Experts’ Advice Blog. The Ask Her Friends blog is brimming with expert advice. 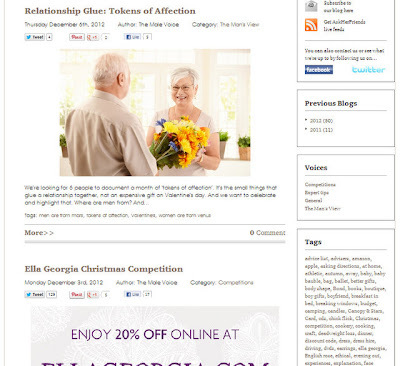 I found the posts to be enjoyable to read, in particular I like ‘Relationship Glue – A Token Of Affection’ as I truly think it is the little things that matter and all add up to show a person that they are loved and cherished. Some of the expert advice posts highlight product and gift ideas that could inspire a brilliant gift to give to your loved one. Ask Her Friends Add Your Own Ideas. If you have an idea for a gift that you have seen from outside of the Ask Her Friends website you can add your idea to your Advice List so that you can use the Ask Her Friends tool to get advice and opinions from ‘her friends’ about the idea. Ask Her Friends Idea Map. 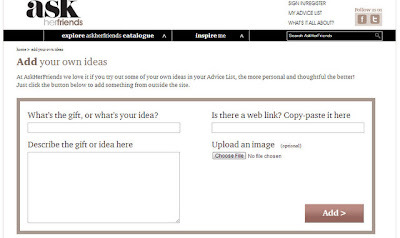 An interesting feature of the Ask Her Friends website is an ‘Inspire Me’ tool called ‘Idea Map’. Ask Her Friends created this clever way of helping users, especially those who are lacking inspiration about what to get the special lady in their life, find the perfect gift. 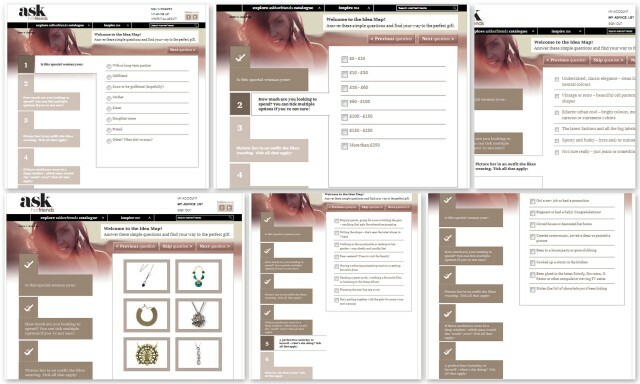 The ‘Idea Map’ works using a series of questions about the recipient of the gift which when answered provides Ask Her Friends with a general insight into the recipient’s style and lifestyle which is then used to generate and recommend products that they believe would suit and be happily received by the recipient. The series of quick questions that is used to gather information about the recipient include relationship to the website user, what style outfit would she wear and what piece of jewellery would she wear. Lee liked that when answering the questions using the ‘Ideas Map’ tool you can select more than one answer, which he thinks is particularly useful when more than one answer is suitable; for example Lee said that when he answered the question “A perfect free Saturday to herself – what’s she doing?” about me he chose more than one answer, two of which were ‘walking in the countryside or tending to her garden – rosy cheeks and muddy feet’ and ‘reading a great novel, watching a favourite film or listening to the latest album’. Lee was impressed with most of the suggestions that the ‘Ideas Map’ generated and was pleasantly surprised that there was a large number of different retailers and a great variety of products suggested, he also liked that most of the products were from brands that he had never heard of and the items were not ones that he would commonly see on the high street. Lee thought that most of the gift suggestions were items that I would like and a few were definitely ‘very me’ however there were a few products that he thought I would not like. Thankfully there is a handy little tool that can be used to remove products that are not liked or wanted; Lee used the useful ‘she won’t like this’ button that can be found under each item to remove that item from the list of gift suggestions. When an item is removed from the list another item is promptly added for your consideration. Even though Lee was impressed with the range of products, variety of brands and the choices that he thought I would like he did think the website did not cater for my alternative style. As Lee did not see any items that he would normally consider to buy for me that are very quirky and alternative he thought it was great that you could add items manually, allowing you to use the Ask Her Friends tool to its full potential so that you can get a entire view from the recipients friends about all gift ideas you would consider. 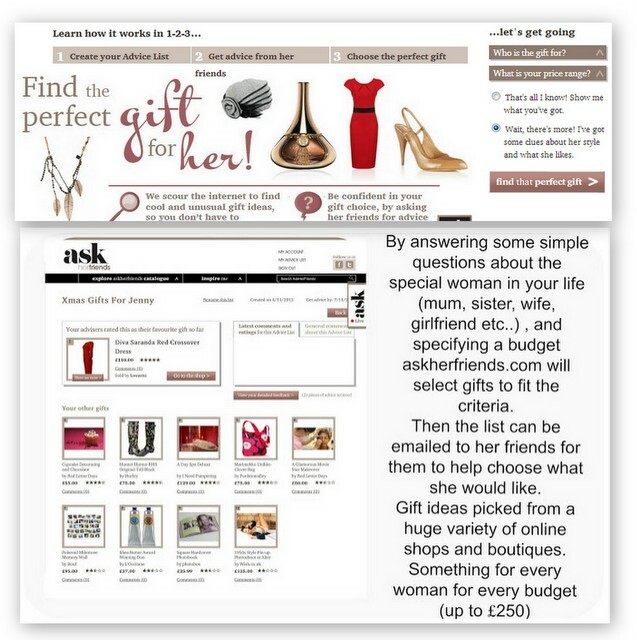 Not only does the website provide users with some fabulous and interesting gift ideas, the website also features an ‘Advice List’ which is an useful tool that allows users to create a list of their favourite gift suggestions to help them narrow down the gift choices until hopefully they find the perfect gift for their loved one. Ask Her Friends Advice List and Ask Her Friends tool. 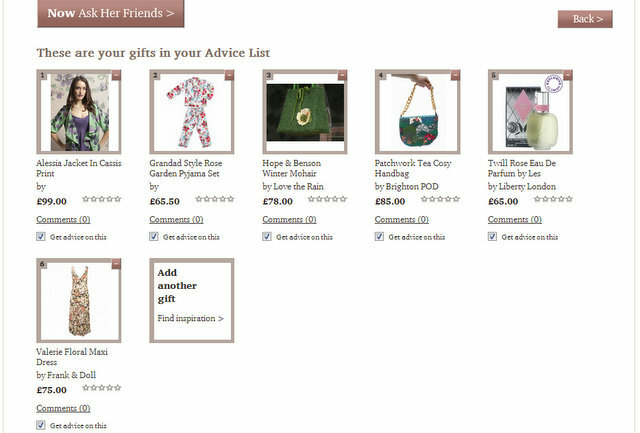 You can create an advice list of up to 10 products by clicking on the ‘Advice List +’ button under the gifts you like from the gift suggestions you get from using the ‘Ideas Map’ or from the other ways of finding gifts on the website. 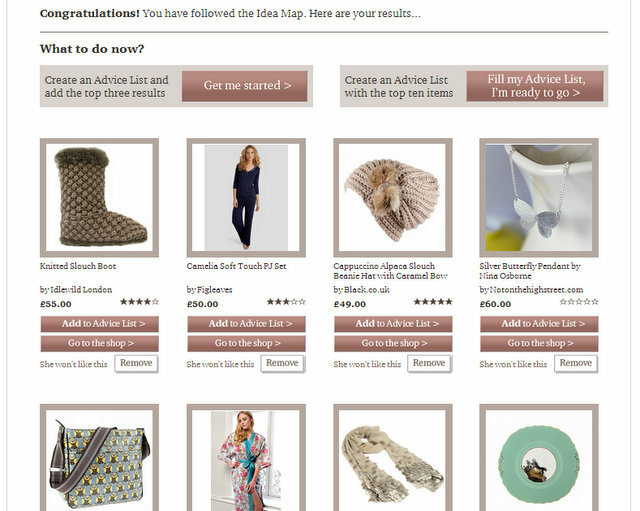 Once you have created an advice list you can use the very useful and ingenious service of, as the website name suggests, ‘asking her friends’ their opinions on the gifts by sending them the list to look at. Before sending the advice list to the recipients’ friends for advice you can name the list and include a date when you need opinions returned by. Lee thought that it was great that you can name the list as it helps you keep track who the list is aimed at (you can create more than one advice list, enabling users to find gifts and get advice for a number of recipients i.e. their wife, their mum etc.) and thinks the incorporation of a date is great so that you can allow enough time to get help from her friends and buy the gift for the date it is needed. 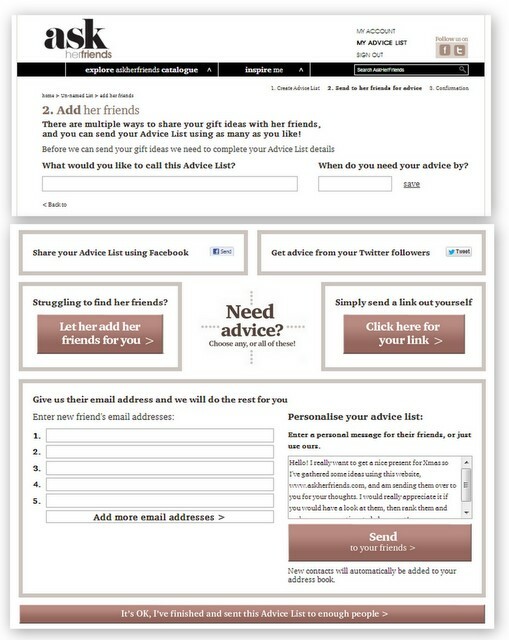 You can use this service to send the advice list to her friends for their assistance in deciding which gift/s their friend would prefer by sharing on facebook, tweeting to your twitter followers, giving people a link to your advice list, emailing her friends the advice list with a personalised message asking for their help or if stuck with friends to ask you can ask her to add her friends so that you can get advice from people who know her well. 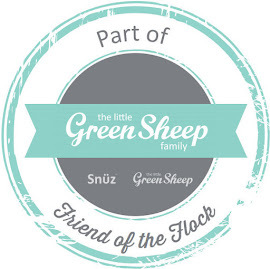 Lee thinks the advice list and ask her friends tool is a great way of having the reassurance of her friends opinions and useful for helping to narrow down a list of gift ideas until the perfect gift is decided upon. He thinks it is useful that the advice list can be sent to her friends in a variety of different ways including the use of popular social media tools. Once you have decided what gift (or if the recipient is a very lucky lady, gifts) you simply click on the product you would like to buy and you are redirected to the original website for the time and you buy directly from the website. Lee showed me the suggestions he was provided with after using the ‘Ideas Map’ and there was a couple of items that I love. The Mink Disc Trim Shawl is a gorgeous colour and I adore the Jessica de Lotz Personalised Key Styled Ring. The item I love, love, love the most is the J9 Two Five Mixed Metal Stretch Smokey Topaz which Lee informed me was added to the ‘advice list’ from browsing the Ask Her Friends Catalogue because he thought it was unique like me J Lee’s decision with a little help from friends was a lovely surprise because the items I love the most are the ones he told me (before I saw all of the list) he would choose to buy for me after using Ask Her Friends. On the whole Lee was very impressed with the website, it was easy to navigate and use and he likes that he can get interesting gift ideas in an interactive and fun way. He was thoroughly impressed with the extensive range of products and the choice of categories. 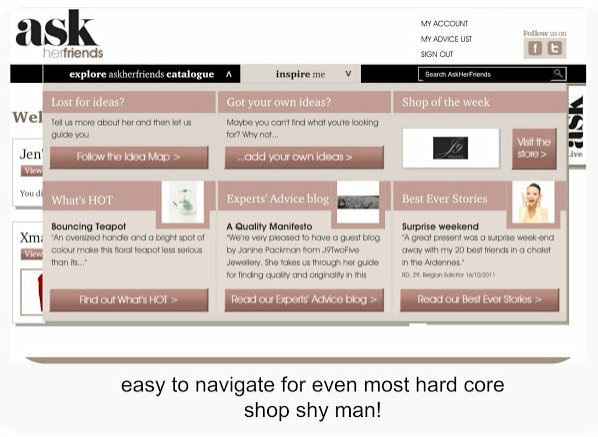 Lee thinks the most interesting feature of the website is the ‘Ideas Map’ as he thinks it is a great idea that the website takes into consideration a number of things including interests and styles when compiling gifts ideas. He thinks the website and ‘Ideas Map’ would be even better if the questions/answers available were expanded to take into account different women’s interests and styles that are not already covered by the answers available. In spite of his view that the questions should reflect other interests and styles he thinks the current ‘Ideas Map’ is good and perfect for the majority of women as it covers a decent amount of questions and a variety of answer options. As well as being impressed with the ‘Ideas Map’ and think it is a great concept he was equally impressed with the ‘ask her friends’ tool which he thinks is particularly useful if you want some extra help and are nervous about whether the special woman in your life will like the gift. Even though Lee can be a tad useless at buying gifts for me, he is more than happy to get gifts without asking my friends so he is not sure he would use the ‘ask her friends’ tool on a regular basis but he can see the benefit of using it to narrow down gift choices. In spite of the fact that he might not always use the ‘ask her friends’ tool Lee thinks the website is great for getting gift suggestions that he would not have considered, thought of or found whilst looking elsewhere. Even though the website is aimed at males, I think it is also very helpful for anyone to use to help find a gift for their loved one/s. I also used the ‘Ideas Map’ service to search for gifts for my mum and I am impressed with the results with the majority of the gifts being perfect for her. I think Ask Her Friends is an ingenious service which would be useful for both men and women who are looking to buy a gift for the women in their life. The only problem I found when using the website is that I was tempted by most of the products suggested and wanted to have them myself. Whilst I was impressed by the range of products and choice of categories and budgets, for me the highlights of the website are the ‘Ideas Map’ and ‘Ask Her Friends’. If you are a clueless male (or know a male who needs a little help) who needs to buy a lovely gift for the special woman in your life, head over to Ask Her Friends for brilliant ideas to help you find the ‘perfect’ gift. More information about Ask Her Friends.